Samsung Galaxy Grand Prime SM-G530H latest firmware Android Version 4.4.2 and official Android lollypop 5.0.2 download link for free you can download both of version if you want to install old version then you can download android 4.4.2 for sm-530h then you can directly download that package on google drive or want to update with latest version android 5.0.2 with Odin then you can download it,s official download area for your region. you can also update your phone through WIFI downloading updates on your phone form setting then about device then tip on software update then you phone will check it,s latest update.The (SMG530H) update OTA package size is about 520MB - 590MB if you have good wifi connection then you can easily download it. Before updating your Samsung Galaxy A3 2016 SM-A310F at home with Odin you must have to install Samsung USB Drivers on your PC for downloading USB drivers click on the Link 1 Link 2 and install on your PC then follow the next para. 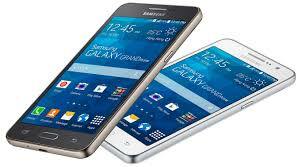 How To Flash Samsung Galaxy Grand Prime SM-G530H Firmware With Odin? That firmware update is only for only for Samsung Galaxy SM-G530H don't try to install that firmware on other models of Samsung Android devices that can destroy your phone.